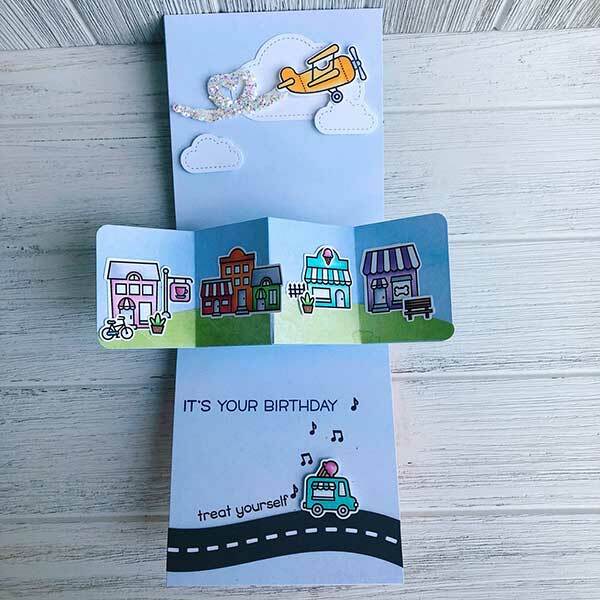 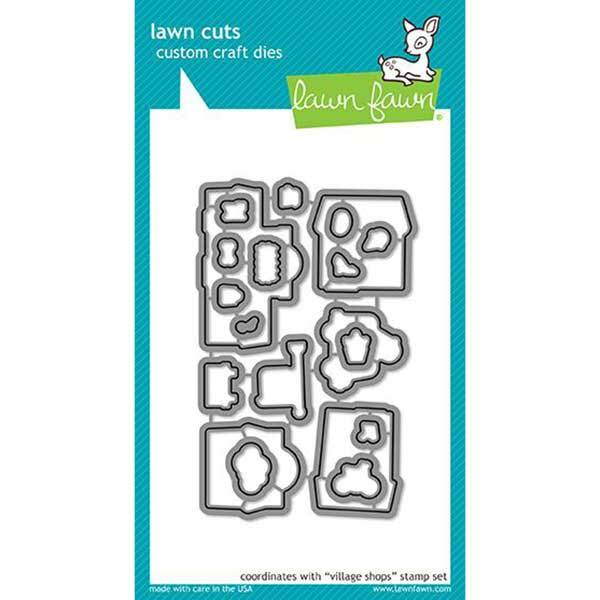 Village Shops die set by Lawn Fawn. 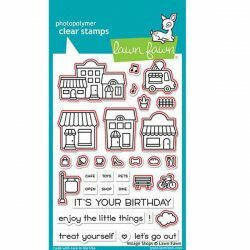 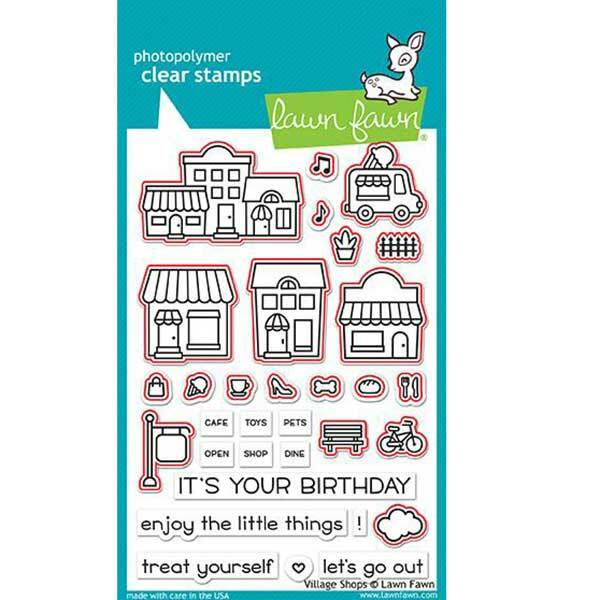 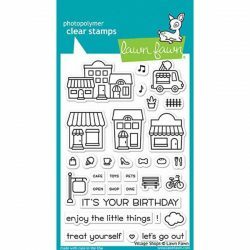 Coordinates with the Lawn Fawn Village Shops stamp set. 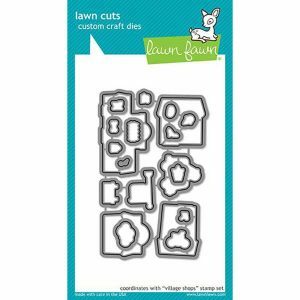 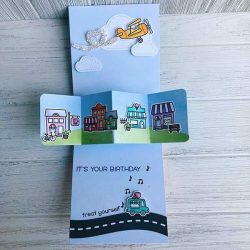 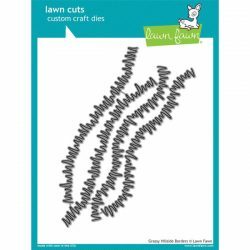 Lawn Cuts custom craft dies are high-quality steel and are compatible with most die cutting machines!